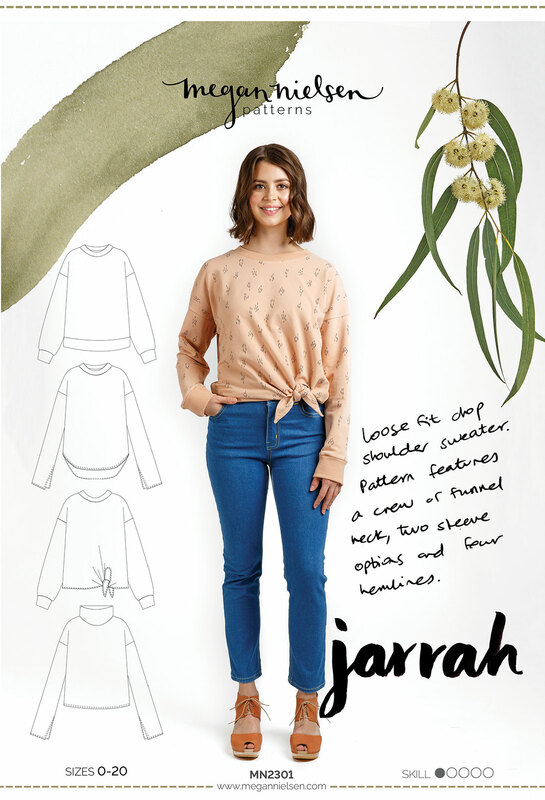 Next up on our Jarrah sweaters – the sleeves. 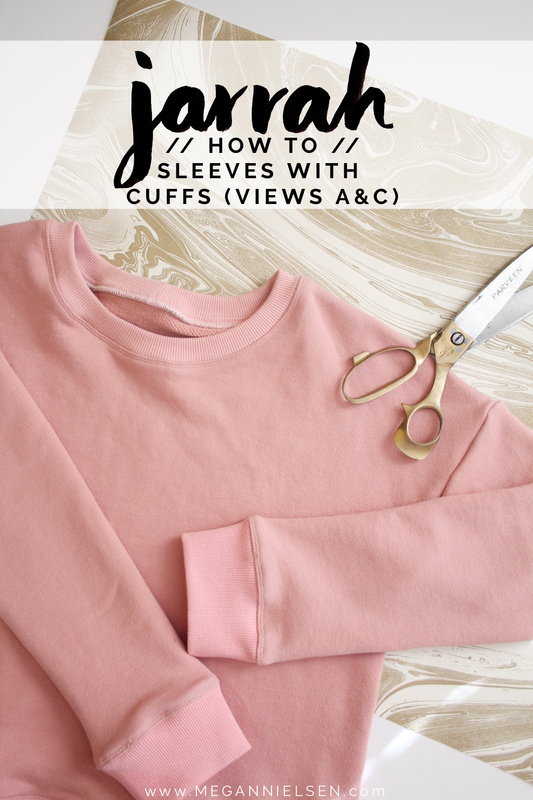 Today we’re going to cover the cuffed sleeve option for views A + C (stay tuned for the split sleeve tutorial for the other views later on). This is another quick and easy step, so if you’re doing one of these views, you should be able to zoom through it no problem. 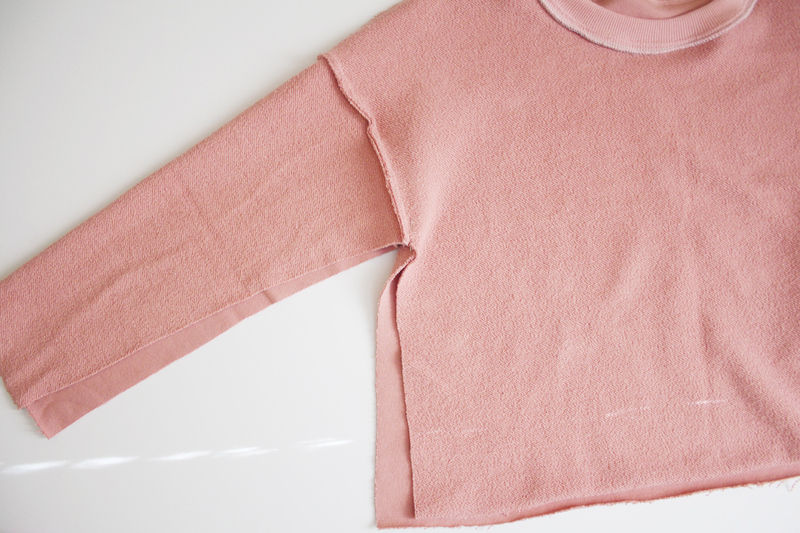 Turn your sweater inside out so that right sides are together. Line up the side seam and sleeve edges, matching up the seams. Pin in place. 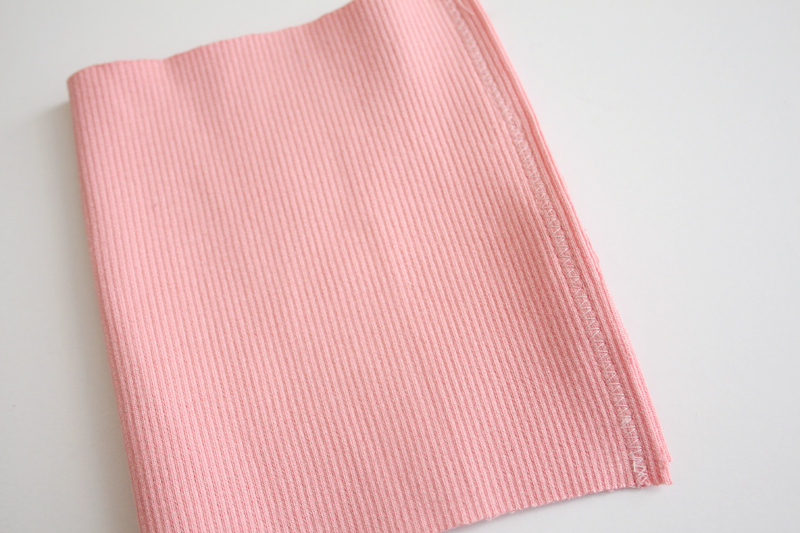 Sew in place 1/4″ from the raw edge using a zig zag stitch or serger. Set your sweater aside and let’s get the cuffs ready. 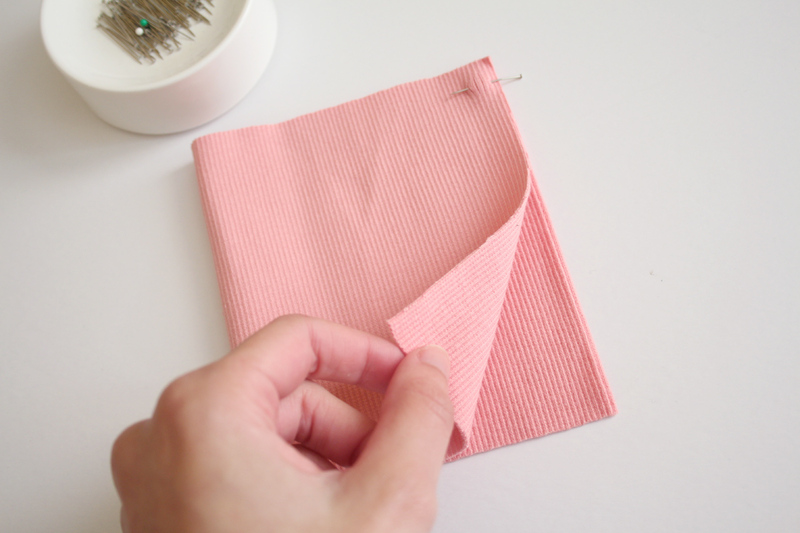 Fold your cuff in half with right sides together, lining up the shorter ends. 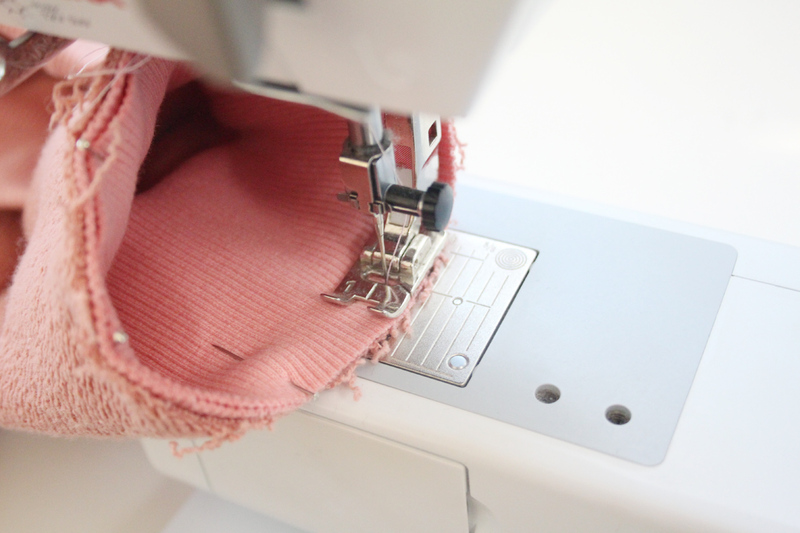 Sew 1/4″ from the raw edge using a zig zag stitch or serger. Press the seam open or to the side. 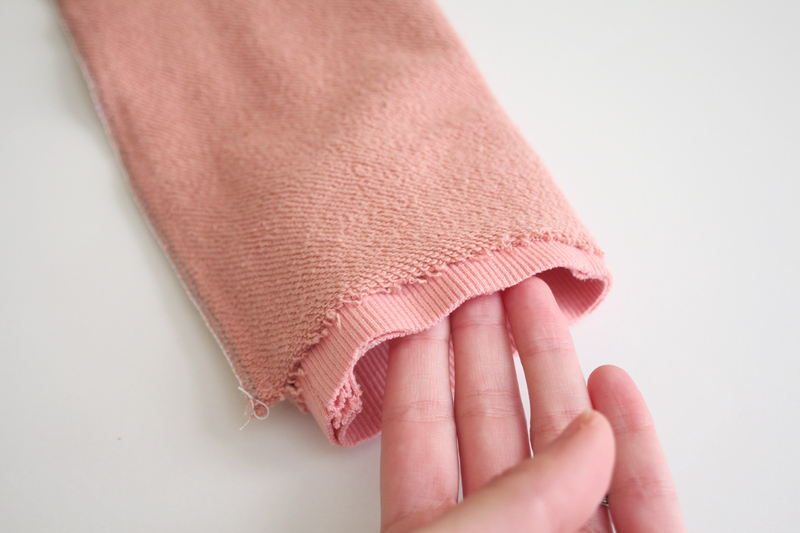 Now fold your cuff in half lengthwise, with wrong sides together. So that the right side of the fabric is on the outside. Match up the seam and line up the raw edges. Press. Now bring your sweater back in front of you, still inside out. 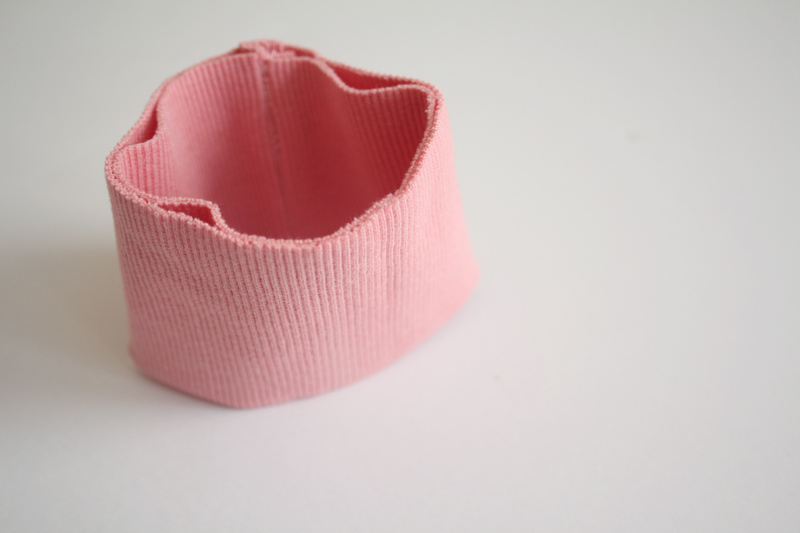 Place your cuff inside the sleeve. 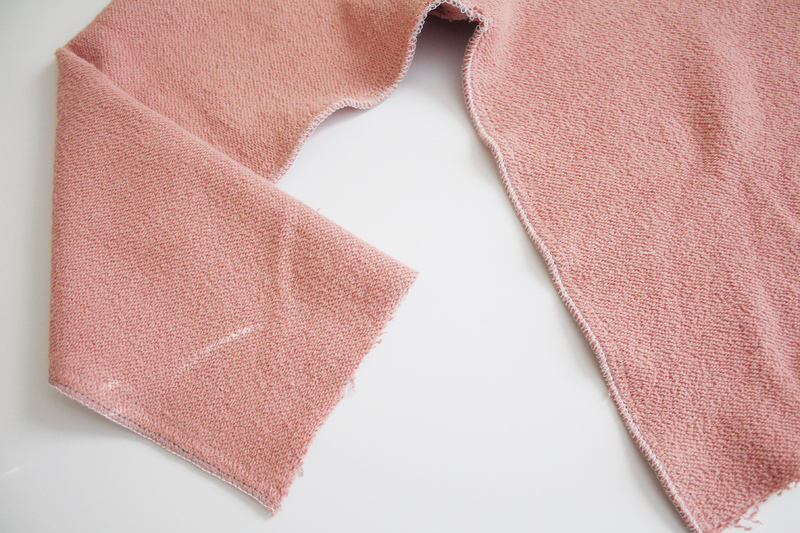 Line up the raw edges (3 layers of fabric – one layer of the sleeve and two of the cuff), and match up the seam on the cuff with the seam on the sleeve. Pin all around. Sew in place 1/4″ from the raw edge. You should be sewing on the side of the tube/cuff. 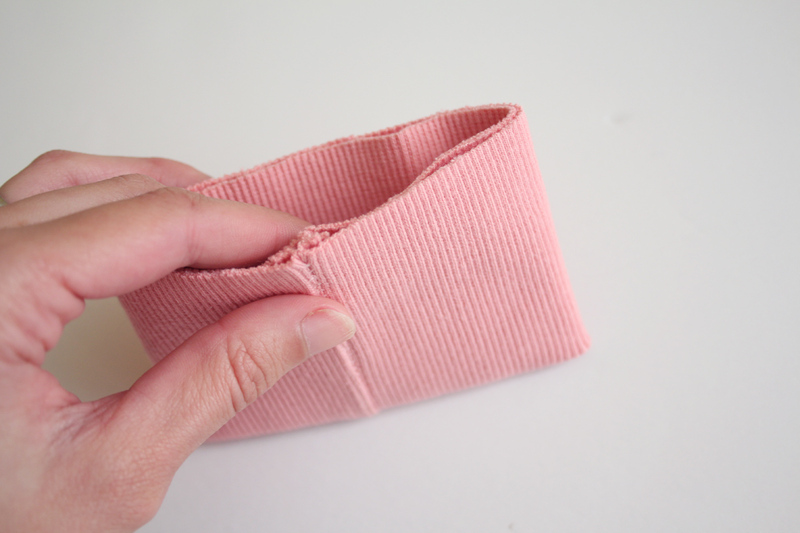 And you can, again, do this with either a zig zag stitch or serger. I like to stitch with a zig zag and then finish the edge with a serger. It’s an extra step, but it’s what I like. 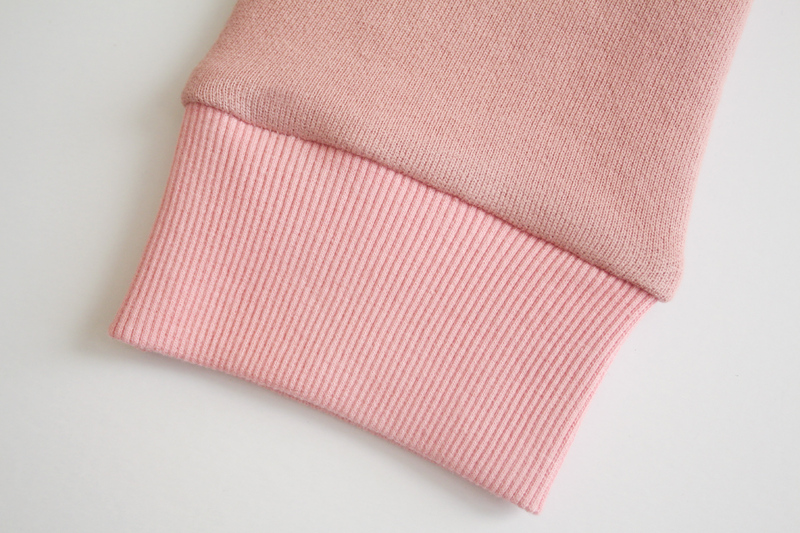 Turn your sweater right side out and press your cuff well. 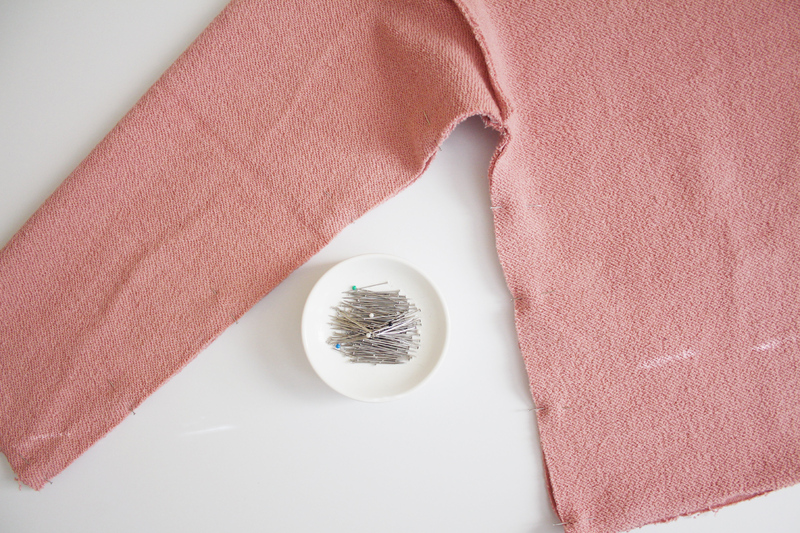 Press the cuff down, with the seam allowance up towards the sleeve. 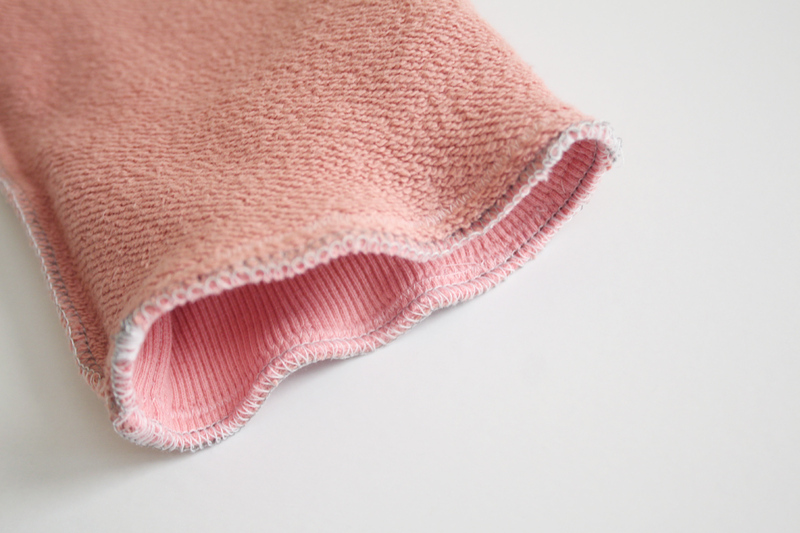 An optional step: you can topstitch along the seam using a zig zag stitch or double needle, just like along the neckband. 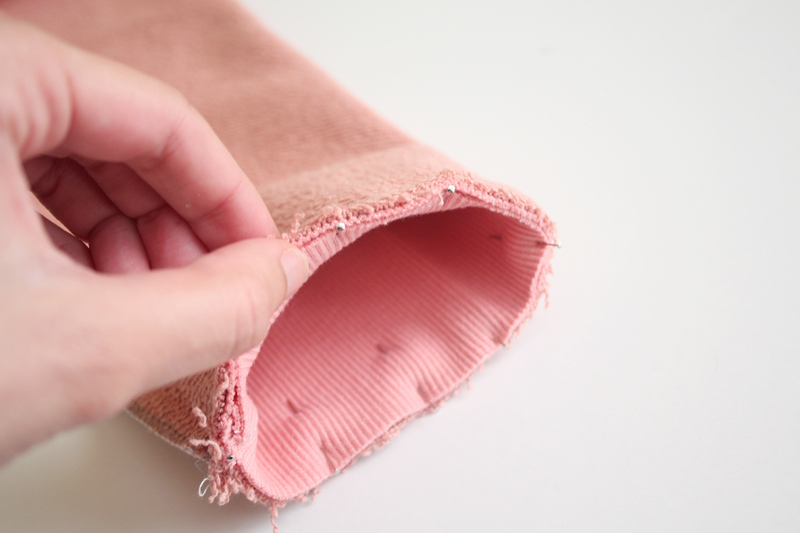 Make sure you topstitch on the sleeve fabric, not the cuff. This will help the seam lay flat. 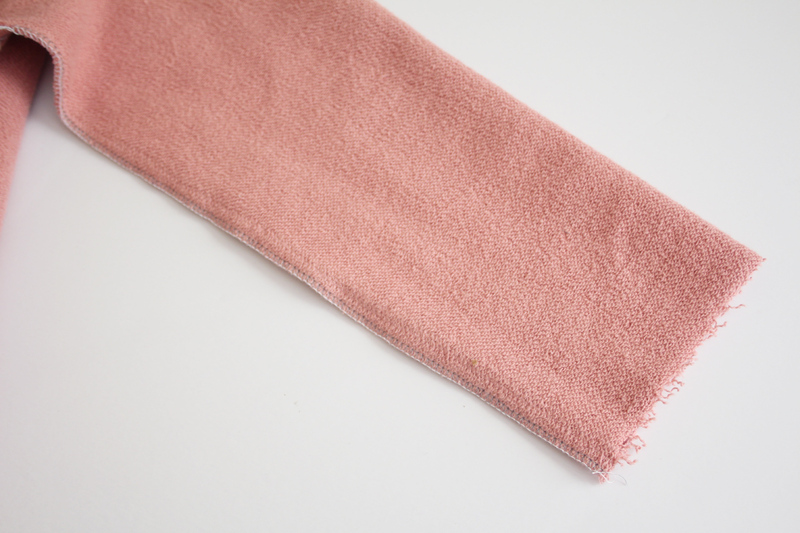 Also a note – the pattern recommends using a ribbing fabric for the neckband, cuffs, and hem band of view A. It’s recommended, but not necessary! 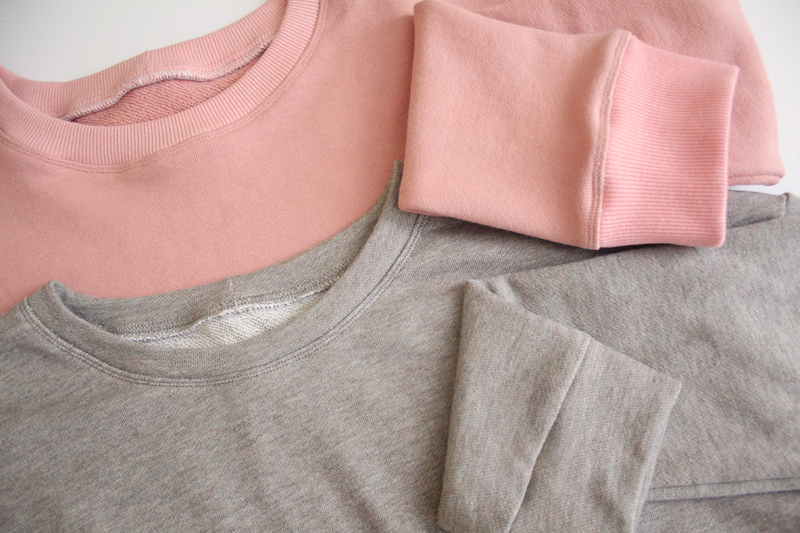 You can also just use the same fabric as the body of your sweater, or a different (stable) jersey knit. The photo above shows you two options. For the pink sweater I used ribbing, and for the grey sweater I used the self fabric. ***another note – I messed up and sewed my neckband on my samples with the neckband seam at center back. Your neckband seam should be at the left shoulder seam like mentioned in the neckband post. Sorry if that has confused anyone!